NeuLife knows that every patient is different and a treatment plan that works for one person, might not be effective for another. 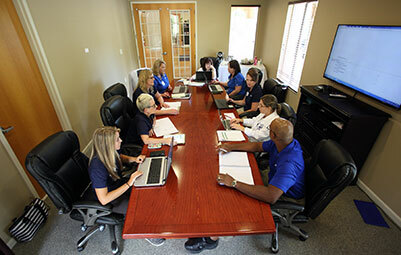 Our clinical experts establish individual rehabilitation goals and measure progress through every phase of our residential rehabilitation programs so that treatment plans are always specific to each individual participant. In order to create the most effective treatment strategy, we conduct a comprehensive evaluation upon admission. Our interdisciplinary team uses the information from the evaluation to develop an effective care plan and establish a baseline to compare future progress. Every member of the NeuLife clinical team meets weekly during Grand Rounds to review each patient’s progress for the week and to adapt care plans. Under the leadership of a Board Certified Physiatrist (Rehabilitation doctor), the interdisciplinary team is continually evaluating progress and adapting treatment plans enabling us to provide unparalleled care that achieves results. Weekly progress reports are generated for each patient and posted on our secure patient portal for family and medical professionals to review. NeuLife offers services to those in need of care regardless of their access to traditional healthcare resources. We welcome Worker’s Compensation and personal injury litigation cases as alternative payer sources – making it possible for patients to receive the care they need, when they need it. Care is offered to those with qualifying cases on a Letter of Protection (LOP) basis or through approved coverage from Worker’s Compensation. 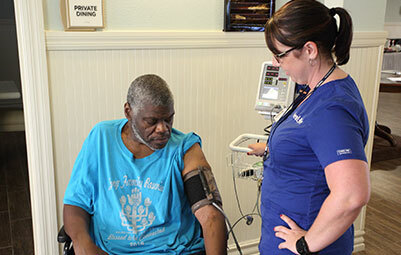 Throughout every phase of care, we provide patients with an environment of encouragement, training and support. We want our patients to feel comfortable and not feel embarrassed or disappointed by normal setbacks that can occur with their specific type of injury.